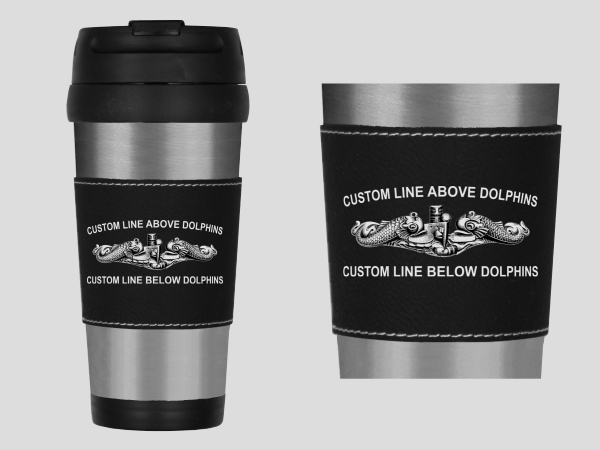 Our 16 ounce Dolphin Insignia Travel Mug is sure to float your boat. 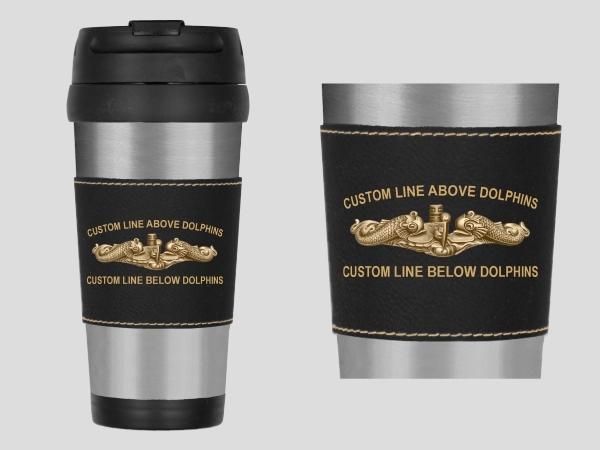 The richly textured artificial black leather and silver engraving certainly makes a great impression. 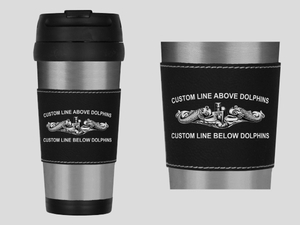 The mug is double wall with a smooth easily cleanable BPA free plastic interior and a high quality stainless steel exterior. The screw on plastic lid has a snap closure so, no splashes ever. When adding your personal text, please be aware of your capitalization, punctuation and spelling. We directly cut and paste what you write and can not be responsible for errors.